you are a competing bodybuilder or model who needs to get down to 3-6% bodyfat. If you answered ‘No’ to any of those questions then basic calorie counting, smart substitutions, or eating healthy is all you need along with your daily cardio to get ripped 6-pack abs. On the other hand, if you are a bodybuilder who is stuck with 4-pack abs and you just cant seem to remove the bodyfat over those lower abs to get stunning washboard 6-pack abs with veins in the lower abs then carb cycling could be what you need! The leaner you are, the harder it is to remove fat without removing muscle – carb cycling can help you achieve this. This is an advanced fat loss method and it takes a lot more effort and dedication than most people can muster but its the only way I know of to get from 10% bodyfat down to the 5% and get truly ripped without losing muscle mass. 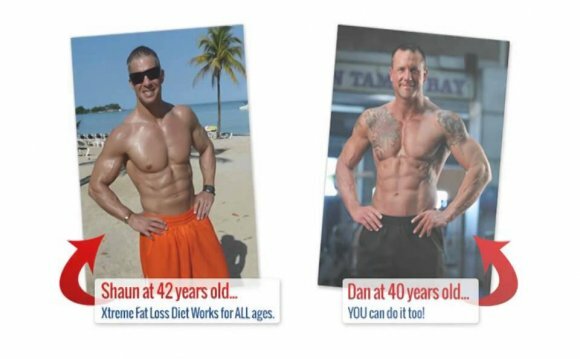 When you see your personalized meal plan that is required to use this carb cycling technique, you will see immediately why only highly motivated individuals will succeed – it is very strict. You must count, weigh and tally the nutritional content of every single mouth full of food. There are several possible reasons why carb cycling as I present it here works so well for everyone. You can read about the carb-cycling theories in the below links but there is another simpler possible explanation – that is, my carb cycling meal planner lays out a very precise and easy healthy meal plan. Who knows, its possible the cycling of the carbs doesnt help that much at all. The fact remains though, if you follow the meals designed for you here by my calculator then you will lose fat fast and you will lose little if any muscle. The roots of this carb-cycling concept appear to be the zig-zag diet by Dr. Fred Hatfield. The experts and creators of the carb-cycling diet are Will Brink and Tom Venuto who both have written excellent books on losing fat – if you want to know more information about how carb-cycling fat loss works then check out their books, you can also read my review of their books.